Welcome to the relaxing coastal community of Oceanside, with it miles of beaches and year-round opportunities for seaside recreation. Only minutes from the sparkling azure sea, you'll find the master planned community at Whelan Ranch. 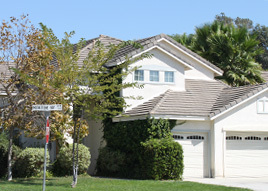 It is located off Douglas Road, in the tranquil, single-family neighborhood known as The Crest. It is the perfect escape from the city and offers a simpler lifestyle. At The Crest, homeowners enjoy a great diversity of architectural styles. The development presents four thoughtfully designed floor plans that meet the needs of families who are just starting out, to those whose children are older and have moved away. Residents further appreciate enhanced privacy with average to large sized-view lots. Each home is built with quality craftsmanship and offers superb finishing touches. These are home you'll be proud to own and in a neighborhood you'll forever enjoy. 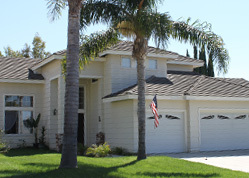 Living at The Crest, residents have the advantage of belonging to a Homeowner's Association. It, along with a Board of Directors are responsible to maintain the common areas in the development, giving residents a stake in the common areas in which they share. They also strive to preserve the aesthetic appeal and the property values of the entire community. 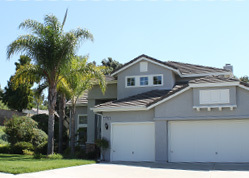 Located within walking distance of Reynolds Elementary School (K-5), The Crest is more than just a group of homes in Oceanside; it's a family-oriented neighborhood. It is a special place where families grow, relationships are made, and memories are created. The Crest offers affordability, value, location, and caters to the needs of all families. These are the hallmarks of living at The Crest family neighborhood.